I AM a trained school teacher and a social worker. I have a full-time job that I enjoy, and I live with a diagnosis of cerebral palsy. I use a range of mobility aids including a powered wheelchair. My aim is to be healthy and participate in life to the full. It is important that I have a good GP. Over the years, I have found that there is no “one size fits all” when it comes to providing health care for people living with cerebral palsy. Due to the lifelong nature of the condition and the impact it can have on the body with ageing, people need to spend time choosing and then maintaining an open and honest professional relationship with their GP. So, what are, for me, the most important requirements for the GP in this situation? I know time is money, but I am not my diagnosis. I would like to establish a professional working relationship with a GP who shows interest in me as a person and takes time to get to know me as an individual. I need to feel comfortable with my GP and trust and respect their judgement. I would like a GP who has great questioning skills and listens to me without making any judgement. That GP makes me feel comfortable, explains things clearly but doesn’t speak down to me. That GP is honest about what they can and can’t do for me and why, and is explicit in explaining what I need to do with regard to my treatment. That GP follows through and does what they say they are going to do in a timely manner. They don’t fob off my concerns. They are confident in their abilities but don’t pretend to know something when they don’t. That GP can refer me to another professional or specialist when required. They value my lived experience of my disability but don’t expect me to have all the answers either. That GP doesn’t put everything or a lot of things that I have issues with down to the fact I have cerebral palsy. To me, this means a GP I can make an appointment to see when I need to. I would also appreciate a GP who bulk bills, especially when it is a repeat prescription, a simple referral or paperwork. Tasmania has very low rates of bulk billing doctors, even for those receiving a Disability Support Pension or who have a health care card. As an individual living with cerebral palsy, I frequently need to go to the GP to get referrals and have paperwork completed to enable me to access activities in the community and to stay as healthy as possible. I value my health and work very hard to maintain it. I appreciate a GP who sees me as the expert in my own life, provides a holistic service and works with me to manage my health. This means a GP who is open-minded about other possible treatments, especially in relation to chronic issues, and who addresses diet, sleep, exercise, relationships and social connectedness as important to health. I felt embarrassed about being a “frequent flyer” to your service when compared with my able-bodied peers. I disliked having to come to you to fill out endless forms. I know you didn’t become a GP for this purpose. Unfortunately, I needed you to fill these forms out and write letters on my behalf and I thank you for that. Although I have known that I have cerebral palsy for a long time, I most certainly didn’t consider myself disabled. I didn’t know it wasn’t normal to feel tired and exhausted at the end of the day. I had no idea that I would experience the effects of ageing in my early 20s. I would have appreciated several discussions as I dealt with my grief surrounding my decreasing mobility and increasing fatigue. Once I aged out of paediatric services, you were my only link to the health care system. You either didn’t know yourself or assumed I knew where to get access to ongoing support. I don’t want this article to be about doctor-bashing. I know how hard GPs work and the challenges they have providing the best care possible to their patients. I have had GPs and other doctors who had done many things brilliantly, and apart from showing them appreciation, I want the others – the ones who could do better – to know where they can improve. My GP has taken the time to get to know me as a person in the context of my physical and social environment, taking an interest in me as a person. Questions about how my work or study is going and how I am sleeping have made it easier for me to get access to good health care. Another example is being able to have a phone consultation to get a repeat prescription when I have been recovering from surgery. My GP has asked good questions in order to understand my presenting issue and has asked, for example, how an ear infection may make me more unstable on my feet or make me more fatigued than an individual without cerebral palsy. My GP has taken the time to discuss with me my concerns about long term use of a particular medication. My GP has valued my “lived experience of my disability”. My GP has apologised for running late or thanked me for waiting if they needed to take a phone call or see an urgent patient. My GP has provided information about the condition I have and then enabled me to make an informed decision about what steps or treatment options I have. This has at times included a discussion about alternative therapies in addition to traditional treatments. My GP has explained why they have recorded information the way they have and why they need to ask certain questions. My GP has been an advocate to get much needed services. My GP has filled out paperwork and has taken the time to explain why things have been written in particular ways. At times, my GP has laughed with me at some of the “red tape” they have had to be overcome by filling in paperwork. My GP has been honest with me about what they can and can’t do in their role and has expressed frustration about the lack of services and specialists who treat adults with cerebral palsy. My doctor has been available for an urgent consultation. I have received a courtesy call or text from the receptionist if the doctor is running more than half an hour behind schedule. I have personally received or have witnessed a welcoming greeting from the reception staff on arrival. I have also appreciated staff offering to hold open the door when I am coming or going. Access to a service is more than an automatic door and a level environment – attitude is more important. Staff have provided excellent customer service. Examples include faxing a referral on my behalf and ringing a specialist to make an appointment, letting me know when my GP is going to be away in case I need to make another appointment. Other examples include allowing me to see my GP in a room close to the reception to limit unnecessary walking, or explaining where the closest after-hours pharmacy is located. My GP has trusted me and provided their immediate contact details to be passed on to my treating doctors should they have any questions when I have flown interstate for surgery. Thank you to those doctors who know instinctively how to be the GP I need. And thank you, too, to the ones who are willing to learn. Natasha Street has lived with cerebral palsy since birth. She has a Bachelor of Education in Early Childhood Education and a Bachelor of Social Work and has previously worked as a primary school teacher in the north of Tasmania. 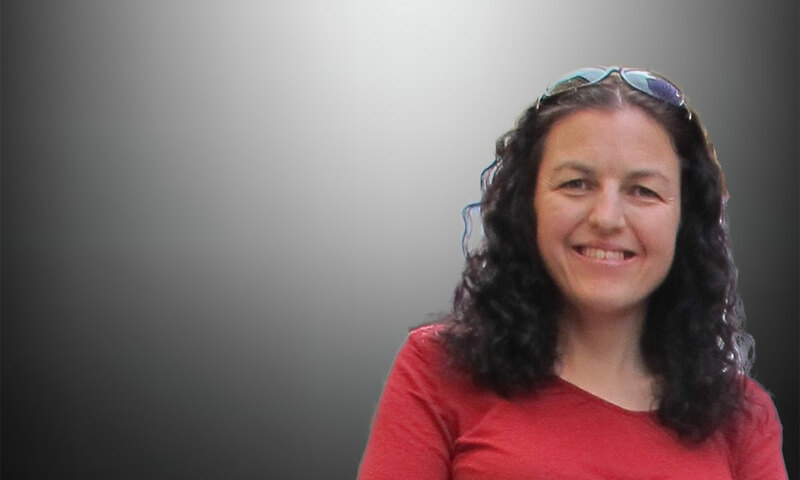 Natasha was involved in the National Disability Insurance Scheme Workforce-ready Reference Committee as the only independent Tasmanian member, and she was a consumer representative for the Tasmanian Health Plan. She is passionate about her volunteer work and involvement on various committees aiming to highlight community understanding of the needs of people living with physical disabilities. Further information on improving the health care of people with cerebral palsy through support and resources for GPs – a series of educational fact sheets is now available. Thank you Natasha, for writing this. It is definitely starting to feel like I’m a burden to doctors, simply because I have more things wrong than a common cold (which don’t need a doctor’s treatment anyway)…. I will be sharing your article to my Facebook & Twitter, where I have many friends who are also disabled/chronically ill.
Basically for professional services – people want McDonalds speed of service with hotelier -hospitality industry conditions . and at no cost – Wow I would like that too. Anonymous – someone too cowardly to write with even their first name. Clearly you have no experience with disabilities or chronic illnesses, otherwise you wouldn’t make such an idiotic statement. As for wanting “McDonalds speed of service with hotelier -hospitality industry conditions . and at no cost”, most times I see a doctor, I wait 2-3 hours, whether it’s a GP or specialist. Do you think I want to spend all my time at doctors offices, hospitals, travelling here there & everywhere to try to get treatment? As for “no cost” – just because we may not always pay at the doctors office, doesn’t mean we don’t pay in other ways…. You want my “free” medical appointments? Sure, take them, but you have to take all my illnesses & disabilities too. Natasha – you should agitate politically to make your desires the new standard. It is sad and wrong that the health system does not discriminate in favour of you. There should be a significant loading to the bulk bill rate for patients with complex chronic problems to make it financially attractive for GPs and specialists to offer you the care you deserve at little or no cost to you. I can see both anonymous and Amy’s point of view . I take my hat off to any GP who can do it at bulk-billing rates at all times, as the cost of just keeping the door open is enormous. All that for the $37 that the Govt rebates GPs. Contact your local MP to advocate increase funding to GP. You have my greatest sympathy for your condition, but I would not be your GP. Certainly not at the rate Medicare re-imburses. In particular, you would like your GP to see you as another human being. Yet the tone of your letter suggests that you do not grant your GP the same privilege. You may have got lucky and discovered a GP who goes way beyond what is reasonable on your behalf, and for what it is worth, I have a very small handful of patients to whom I extend the same privilege. However a patient expecting that level of service as a right would put my back up immediately. I am amazed by any GP that could possibly be all or even part of what you demand, never mind the price. The cost of trying is early burnout, and a high suicide rate. It may surprise some, but I do not do this job for the love of it. I do it to make a living. I happen to be very good at it, but no way am I going to do stuff for free any more than your bank is going to give you free loans or your financial advisor is going to take care of your finance for free. Thank you Natasha for writing this. It is useful to pause and hear your perspective. It is clear you have the greatest expectations of the medical profession and it is incumbent on all of us to try to live up to the highest ideals. I know i will fail in some of this today in my practice, but we must, both as individuals and as a society, continue to try to do better. Yes we clearly need more money for GP services, but this perspective really helps to make that case. Kudos to the fantastic GP’s out there responsible for the positive experiences you have had. In the current medical system there is no room for people with chronic illness, especially little understood ones. These take time, not just in the GP’s practice but the need to update on information in their own time. I am speaking from experience. I am an extremely healthy person and have not seen a doctor in years. (probably should go for a checkup!) How ever, my daughter is not so lucky. Diagnosed with myalgic encephalomyelitis also know as chronic fatigue syndrome 15 years ago, she is completely out of the medical loop. Often eyes glaze over at the mention of this diagnosis. Patients are disabled for decades and die from this disease, but obviously not quick enough to cause an outcry . The scientific research as to the disabling characteristics and likely reasons are available for anyone to find (most not even behind a paywall) but who in the medical profession reads it? Currently there does not seem to be a cure, but recognition and understanding by the medical profession would be a start. However I presume by now that this is one of the many less understood and ignored chronic illnesses, devastating for patients and largely ignored by the medical profession. Also realistic enough to know hat in the medical profession the wheels grind slowly and I do not hold out a lot of hope for improvement in the near future. Yeah, well I’m pretty sure that the piece requested: fast access, good care, and no cost to the consumer. So the snipe about wanting McDonalds speed, Hotelier service and no cost was on the money. At the very least, the most popular GP’s, the ones who people perceive as giving the best care/cost take ages to get into. Hi Natasha, I completely understand what you are saying. I too, would like to find that GP for myself as a patient. Sadly, I don’t think one person can do it all and it is asking too much of an individual. I am a Registered Nurse with a background of Critical Care and Recovery Room and now work in General Practice. I think we need to start thinking of general practice a bit like day surgery. Your condition is complex, and you actually need a team of people looking after you. Just as the team in day surgery does not diminish the role of the anaesthetist or surgeon, but in fact supports it, we need a team of people to support the GP. I am fortunate in my practice, I work with two GPs, and am able to spend 1 hour 3-6 mthly with patients with complex needs. I now have patients that know and trust me as well as the GP. The patients know I work closely with their GP, so they feel safe with me, if they cannot see their GP on the day. In day surgery recovery rooms RNs support unconscious patients’ airways , remove breathing tubes, administer narcotic via protocols, comfort and educate patients all without the anaesthetist in the room. If there are any variations from the norm the anaesthetist is called. In general practice we could do so much more with appropriate training and admin support. I do hope future funding of general practice will look at the care provided in day surgeries and adopt similar practices, so that patients can have that GP (a team not just an individual).